King County is located in the U.S. state of Washington. Its county seat is Seattle. 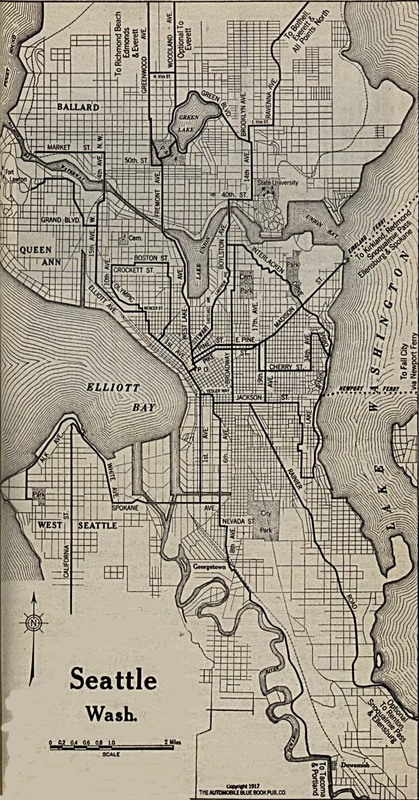 The county was created in 1852 and originated from Thurston County. The name of the county comes from William Rufus King, vice president of the United States under Franklin Pierce; "renamed" in 1986 after Martin Luther King, Jr. The links directory provides suggestions for a variety of websites to assist in your family history and genealogy research. The Seattle Public Library-Seattle, Wash.
Glenn Hughes-a Recollection by his son Glenn (Chip) Hughes Jr. Biography of John Graham Jr. Biography of John Graham Sr.
Asa Shinn Mercer-and the "Mercer Girls" or "Mercer's Belles"
Biography of Bartlett H. McMullen, M.D. Biography of Phil M. Smart Sr. Biography of Robert Nathaniel Joyner, M.D. Remembering Walter Bernard "Wally" Toner Jr. Biography of U. S. Ford, M.D. Biography of Dr. Homer E. Harris Jr. Biography of William James Bain Sr. The Lysander Morehouse Smith Family of Kent, Wa. Biography of George F. Kachlein Jr. Biography of George H. Bartell Sr.